On my first visit to Spain, I ran around madly photographing Mediterranean herbs and flowers. I’d seen them in Australian gardens but to experience these plants in their natural home was a treat. So too was the first waft of citrus and sound of bubbling water in a Spanish courtyard. In May 2019 Anneli and I team up again to lead ASA’s Gardens in Spanish Culture. We will be visiting stunning garden and cultural attractions and opening garden gates normally shut to the casual visitor. On this trip we have new gardens to explore, new cities to discover, and plenty of exciting stories to tell. I’m sure like you I’m always learning, and these trips are rich sources of ideas and inspiration for my home garden as well as for Melbourne’s Royal Botanic Gardens Victoria. Snippets of information from our learned guides, as well as our always well-informed guests, end up in my talks, blogs and radio chats. It’s not just about gardens of course. There is plenty of regional Spanish food and wine to savour along the way, plus the great art of Spain in iconic galleries such as the Museo del Prado in Madrid. In every city we’ll take time to visit the great monuments of the region. We’ve got all the ‘must sees’ like the Alhambra (I could return there every year…) and of course the botanic gardens in Madrid and Malaga. But I get most excited about the places slightly off the tourist trail, gardens that are normally closed to the public. 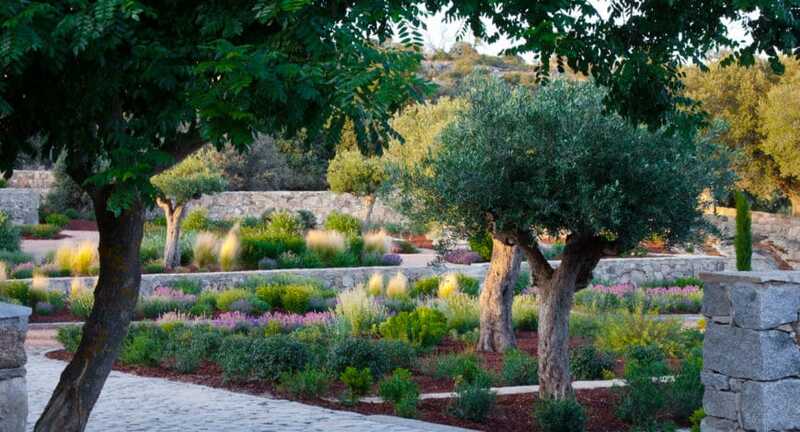 We’ll spend time with Anneli’s husband, Eduaro Mencos, the famous Spanish garden designer, and have the privilege of spending a full day exploring their beautifully landscaped farm near Jarandilla de la Vera. Plus an organic family farm near Toledo, a traditional Andalusian cortijo (country estate) with a lush semi-tropical garden, and an evening reception at a private palace in Segovia with magical views of the Roman aqueduct. In 2019, for the first time, talented design duo Miguel Urquijo and Renate Kastner will show us their restored palace garden in Toledo, with magnificent views of the famous Cathedral. For those who like a little less formality, we venture into the Monfragüe National Park in search of exotic wildflowers, circled all the time by vultures and eagles. Adventure, culture, gourmet food and gardens – what more could you want? Well, perhaps to overnight at heritage hotels, including paradors in Ronda and Jarandilla de la Vera, and the beautiful Hotel San Juan de los Reyes in Toledo. And what a time of year to visit – in May. Not only is it the perfect time of year for gardens, travelling and eating, but it coincides with Córdoba’s spectacular Festival de los Patios, with its Islamic-style courtyard displays of potted flowers. Do join Anneli and me for an unforgettable journey through gardens in Spanish culture. Listen to Tim’s podcasts from the 2017 trip at: Festival de los Patios and his chat with Eduardo Mencos. For more about Tim visit his page, Talking Plants. 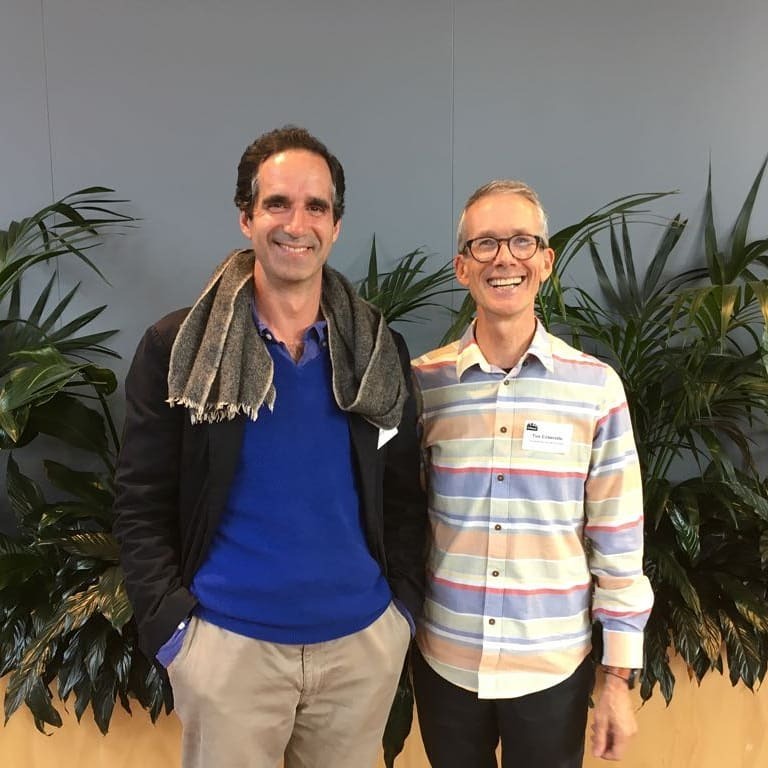 Listen to Professor Tim Entwisle on Australia’s award winning gardening podcast, All The Dirt, hosted by Deryn Thorpe and Steve Wood. Click below to listen to the episode.